Skeletons in the Closet is an one woman company that specialises in historical inspired costumes and gowns. 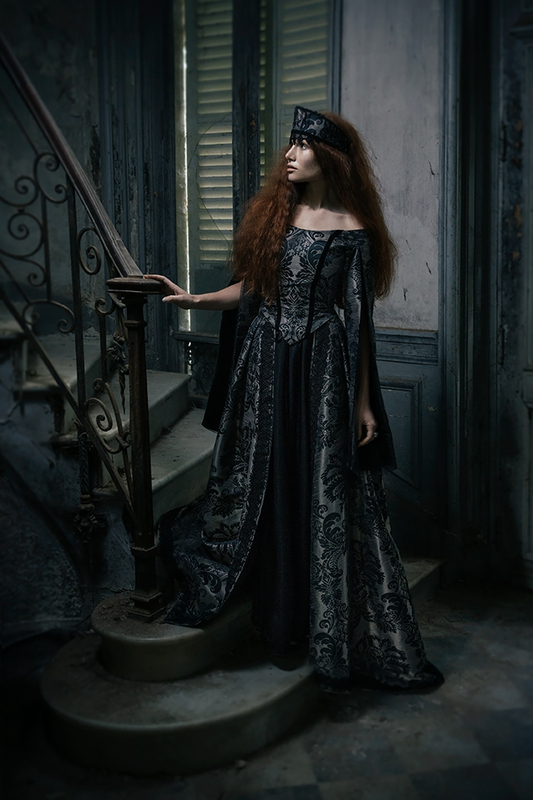 We create costumes inspired by the Renaissance, Georgian, Regency, Victorian and Edwardian era. We also make bridal couture and gothic fashion, for both men and women. Since every gown is handmade not one outfit is the same. We love using unusual colors of silk and textured trimms to make something truly unique. To request an order, use the contact form here to start the conversation about your corset or costume. When ordering a custom gown we usually talk a bit first to see what it is that you are looking for, where your inspiration comes from and what you see as beautiful. If you are looking for a wedding dress or a dress for a special occassion please make sure that you are on time. Magical gowns do not appear overnight and we quite often have more orders to finish. A personal design consultation can be booked with us of a non refundable fee of 50 Euro’s. This can be an in person consultation or a Skype conversation. This consultation fee will be subtracted from your order when you have decided on what you would like to have. Swatches and fabric samples can be shipped to you for a small fee if you want to see a fabric up close. To see some examples of our work please check out the gallery or follow us on Facebook and Instagram.